Machiavelli advised that, "There is nothing more difficult to take in hand, more perilous to conduct, or more uncertain in its success, than to take the lead in the introduction of a new order of things." And he only schemed about petty squabbles between Italian city-states. That brings me to InterstellarNet: New Order, the latest installment in my InterstellarNet future history. Good fences, said the poet, make good neighbors … and interstellar distances made very good fences. 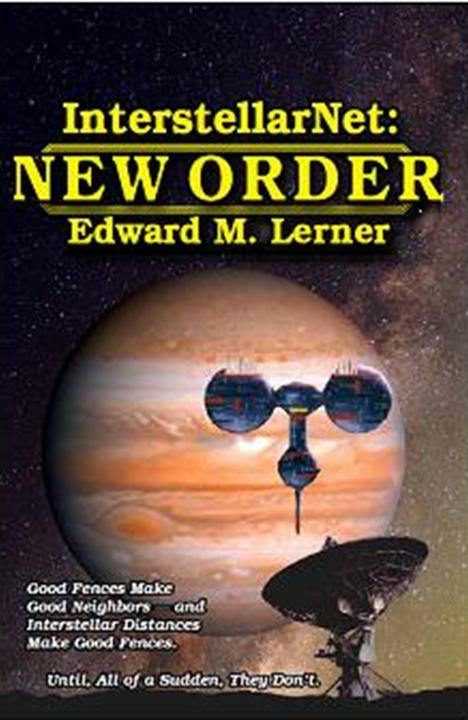 InterstellarNet: New Order chronicles the startling events of Second Contact, upfront and personal, as humanity discovers that meeting aliens face to face is very different -- and a lot more dangerous -- than sending and receiving messages. "Faster-than-light travel is such a commonplace convention in SF that we seldom consider the flip side: a universe in which FTL does not exist. In this book … Edward M. Lerner uses such a universe to great effect."